There is a lot of cool youth clothing. But remember; it is very important that it fits well! Use the Youth/Junior US Size Charts in this page to determine correct US Youth Boy Size. Youth boy size is used from approx. 7/8 years age and up to around 16. Then the men's size system is next. 2. 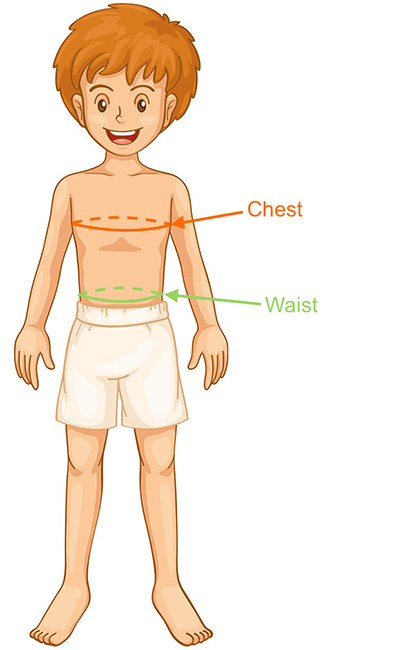 Waist Measurement: Circumference around girl's waistline (narrowest part of torso). Boys' General US Youth Size by body measurements. All measurements in inches. Between two sizes? Round up!